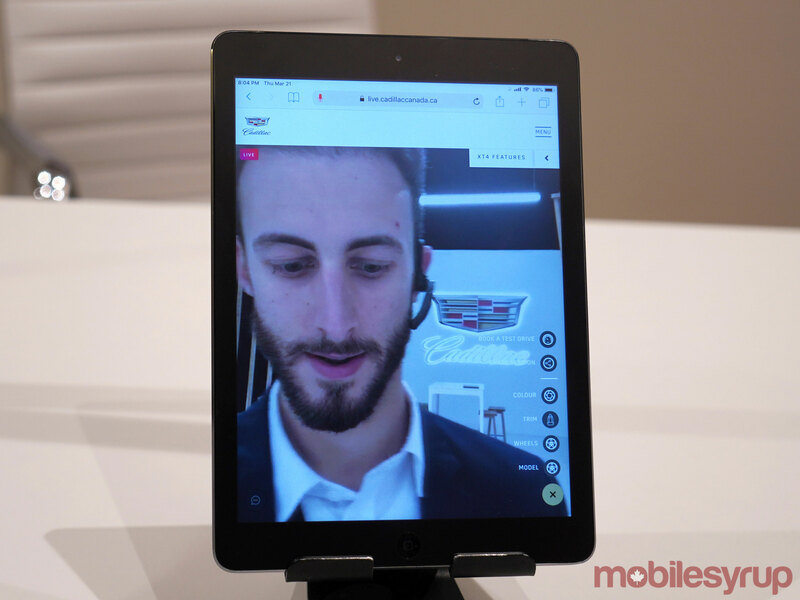 Cadillac Live is now available, allowing users to interact with an actual person who can remotely walk you through a vehicle using real-time video in a digital showroom. 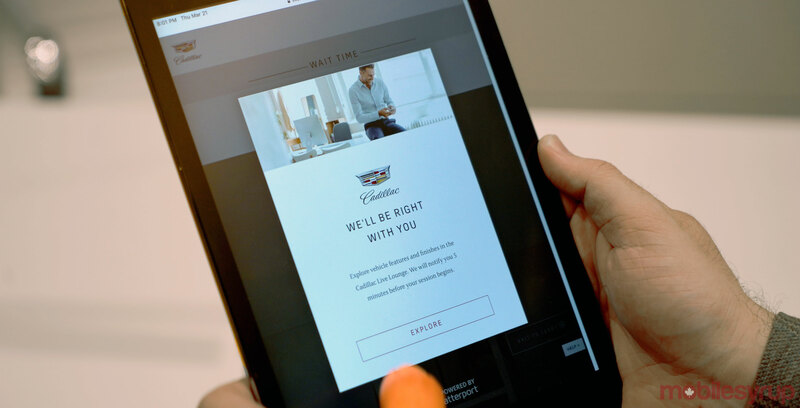 For five days a week, from Sunday to Thursday, Cadillac Live Agents, as they are being called, are on standby to speak directly with inquiring minds, answering questions along the way. The new service was conceived and developed in Canada, making it the first market to experiment with live streams on a one-to-one basis with consumers. It’s free to use and doesn’t require any fees, memberships or subscriptions. You don’t even have to make an appointment, though you do have that option if you like. Cadillac operates Live out of an undisclosed 10,000 square foot studio in the Greater Toronto Area. There, 22 agents total, eight of whom work at one time, over an eight-hour shift from 6pm to 2am Eastern Time, are available to engage in one-on-one sessions with consumers interested in learning more about certain vehicles the brand offers. Right now, there are 10 different 2019 models and trims — three XT4s, three XT5s, two Escalades, one CT6 sedan, and one CTS sedan. Vehicle variance and the overall number may change as the service starts gaining traction and newer models come to market. User feedback will also determine future changes, Cadillac reps say. Each agent is equipped with an iPhone X, DJI Osmo gimbal and Bluetooth headphones to communicate with consumers. Using those tools, they can showcase whichever vehicle the person wants to see, including any particulars inside or out. For example, an agent could demonstrate how much room the trunk or back cabin has, or how roomy the front cabin is. One key caveat is that agents will not turn on the engine, so it won’t be possible to hear how it sounds. The plan is to also better dive into infotainment features, except it’s unclear as to what requisite expertise and training each agent will have to do so. Basic connectivity and guidance will be easy enough, but it remains to be seen how agents will handle more technical questions regarding the electronics inside. Sessions will not have a time limit. If you only need five minutes for a quick question or end up going over 30 minutes for one demo, it won’t matter. Consumers can book a time to speak with someone, but it’s not for a set duration of time. It’s otherwise first come, first serve. Those looking to connect with an agent when all are occupied will be put in a queue with an estimated wait time. Cadillac includes pre-recorded sessions and virtual tours of the studio and vehicles at all times, helping to kill time if it’s a short wait. If you booked a set time, Cadillac will send reminders via email or text (based on preference) leading up to it. Somewhat surprisingly, the service will only work on a web browser, not any mobile apps. The new service will feature prominently on Cadillac.ca, which acts as the portal to get started. Anyone can log in using a browser on a computer, phone or tablet. From there, users fill in basic information, like name, phone number, postal code, email and the vehicle of interest. Agents could make note of the postal code should the consumer be interested in setting up an appointment and test drive at a local dealership closest to them. To be clear, though, dealerships are not directly involved in Cadillac Live at all. Nor is the service designed to replace them because agents are not conducting sales. They can quote a price based on GM’s MSRP, but can’t speak to any deals or incentives individual dealerships might offer. In other words, you can’t buy any of the cars through Cadillac Live. It’s just a show and tell, albeit one directed by the consumer, not the agent. Video is also one-way, so while you can see the agent, he or she can’t see you. Only audio is two-way. Since it’s a Canadian-only offering, it will only work within the country. It will reject foreign IP addresses, but I confirmed that a VPN with a Canadian IP will get through, thus allowing just about anyone abroad to try it out. Fake email addresses and phone numbers won’t work when signing in, regardless of location. The eight-hour period is meant to be ‘off-hours’ when dealerships aren’t usually open. It’s also trying to accommodate the country’s different time zones. Cadillac reps were non-committal on whether they might expand this to longer times but didn’t rule out opening more studios if demand is high enough. The demos I participated in gave me clues as to how all this will work. The sign-in process is fairly quick, but I only had to wait once for an agent. Video quality on the iPads at the launch event was good enough to get a good idea of a vehicle’s macro elements. I could assess the size and understand legroom based on the agent’s help. When he got into the back seat, noting his height, it gave me an impression of the space available. Same with the back cabin space, and front cabin seating. The agent pointed out the steering wheel and dash controls, plus inputs and connections when I asked for them. From the brief interactions I had, it’s likely agents will be comfortable and conversational throughout, allowing those on the other end to steer the tour. When I moved things over to infotainment, it was obvious that part was still being worked out. Not all vehicles had USB cables to plug in phones, and it looked like only iPhones were on hand inside the cabins that did. 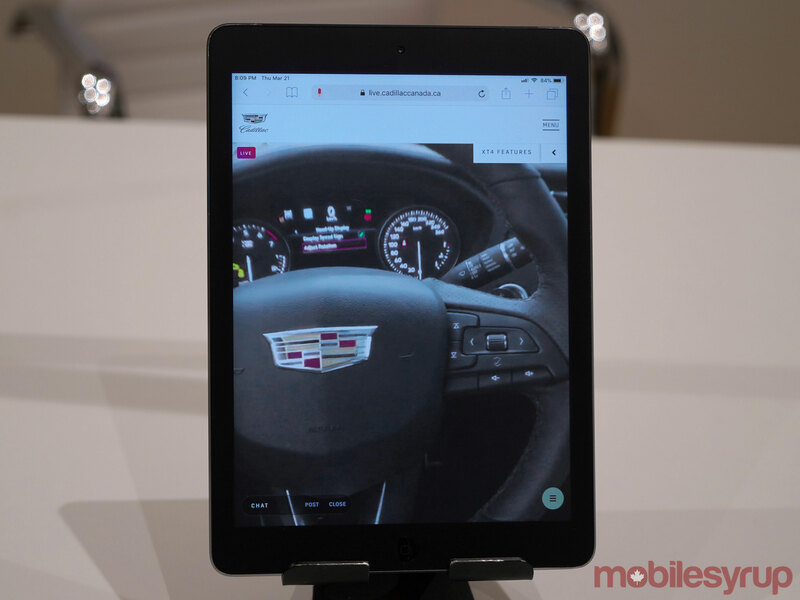 Cadillac reps confirmed Android Auto will also get demos, courtesy of Android devices agents will have access to. It’s just unclear whether they’ll be varied or from one brand. Within a week to 10 days, those details should be ironed out, Cadillac reps told me. It’s some of the micro pieces that were harder to gauge. The infotainment display didn’t look great, making it harder to appreciate how vibrant or crisp it might be. The live stream isn’t in 1080p, it’s 720p, so some details will get lost. 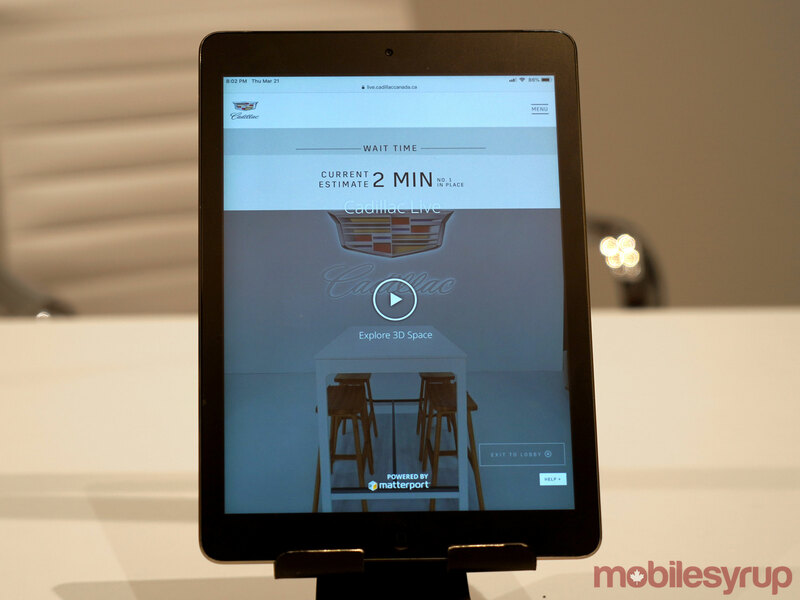 Cadillac didn’t reveal what kind of Wi-Fi setup they have at the studio. Wherever you may be logging in, a sturdy connection capable of handling live HD video will suffice. As of now, there are no augmented reality elements involved, though it could happen later, especially to see a vehicle in different colours. As is, Cadillac is mostly showing black, white, grey or silver — the ones that sell most in the Great White North. Virtual tours and online group sessions have been done before, only within set times and not for more than one vehicle. There are providers offering similar services to dealerships, like CarVRTour and InvisionStudio, among others. 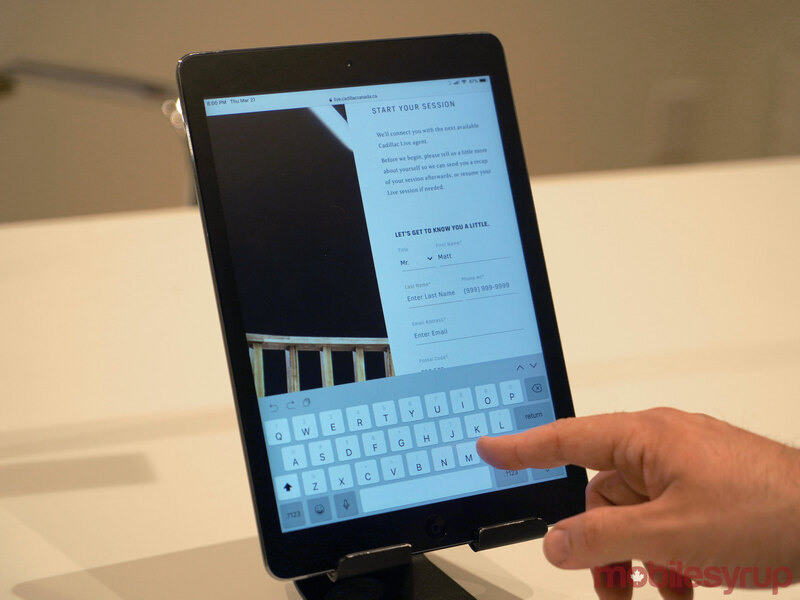 Most recently, Porsche launched a pilot called Go InStore at a dealership in Oakville, ON where sales staff can walk consumers through a virtual tour. It’s only available during open hours but carries a similar concept.